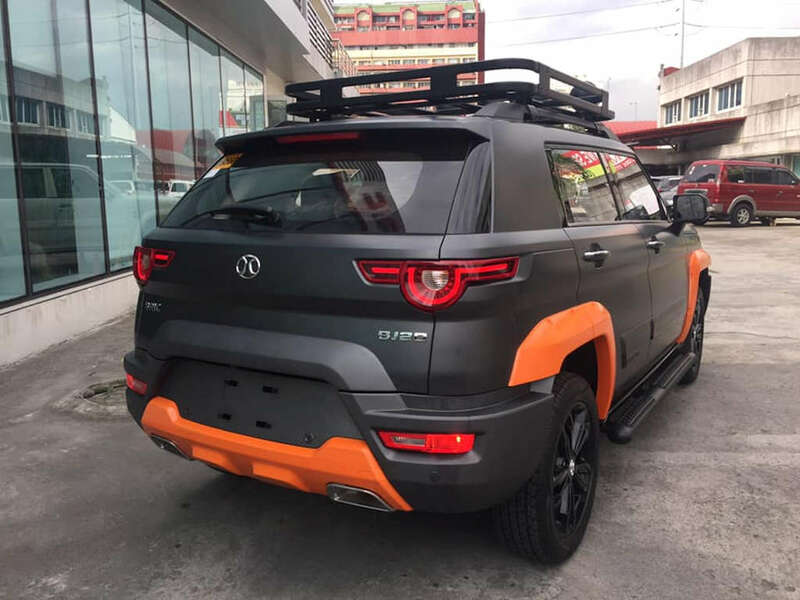 The BAIC BJ20 is already one compact crossover that looks like it’s built to go against carmageddon. 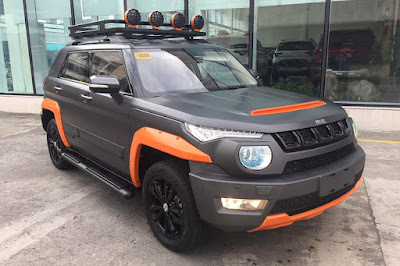 Well, leave it to the folks at Bayan Auto, the official distributor of BAIC automobiles in the country, to go one step further and make it look like it’ll survive the zombie apocalypse. The BJ20 Special Edition comes decked in a special matte dark gray paint job with eye-catching orange highlights. You’ll see this in places like the front overrider, wheel fenders, and rear diffuser; oh, and even on the hood scoop, too. 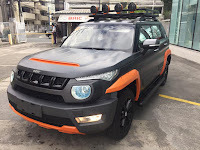 The aluminum-finished roof rails are also swapped for a matte-black one and placed there, is a roof basket with four LED top lights. Capping off the changes is a tubular-style side step board. Inside, it gains orange highlights and this is seen on the dashboard, steering wheel, and seats. Still, The BJ20 Special Edition is purely a styling exercise, so the rest of the package remains the same. It still boasts of a turbocharged 1.5-liter 4-cylinder engine good for 147 horsepower and 210 Nm of torque mated to a CVT transmission. It even has cruise control to make short work of long drives. Standard features include LED daytime running lights, HID headlights, 18-inch alloy wheels, leather steering wheel, push-button start/stop, smart key passive entry, an electric parking brake with auto hold, and a 10.1-inch touchscreen infotainment system with 6 speakers. Safety-wise, it has front and rear parking sensors, a reverse camera, 6 airbags, ABS with EBD, a tire pressure monitoring system, and electronic stability control. The BJ20 Special Edition commands a P 40,000 additional from the Luxury variant bringing its retail price to P 1,328,000.